WARNING! SPOILERS FOR "GEM DRILL"! IF YOU HAVEN'T SEEN THE NEWEST EPISODES YET, GO WATCH IT NOW! I YOU CAUGHT THE PREMIRE OF THE NEW EPISODES IN TIME..... then good for you guys. - Disclaimers aside, let's get this underway. 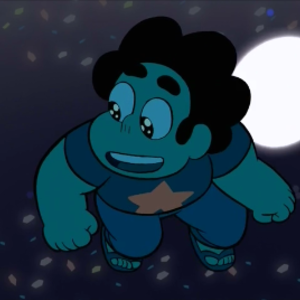 I would like to need some assistance from all you aspiring SU dubbers on what may possibly be my most challenging, time consuming SU fandub I have planned. But what I'm gonna do for my casting is different from previous SU projects I've done. Instead of only one person, I'm gonna cast about FOUR or SIX people to play the individual voices of each shard Steven encounters. My voice cannot be left out, so that means I am too ALSO voicing the Cluster alongside you guys! 1. Recording has to be from good to great to best sound quality, little to no white noise. 2. Because of the Cluster composed of billion of shattered gems, you must have the ability to act and inflict emotion for the shards suffering, that's vital for your performance. 3. Adding an effect is optional, primarily a revertabrating echo. You don't have to, but it's to capture the eerieness. (chants aggressivly) FORM! FORM! FORM! FORM! WANT FORM! WANT FORM! FOOOORM!! !